It is with huge delight that we can announce that live images from our Peregrine nest box camera are being streamed to the Internet. This is one of the main deliverables from the HLF Project, so it is great to have achieved it. Picture quality is best during daylight hours, becoming monochrome after dark. 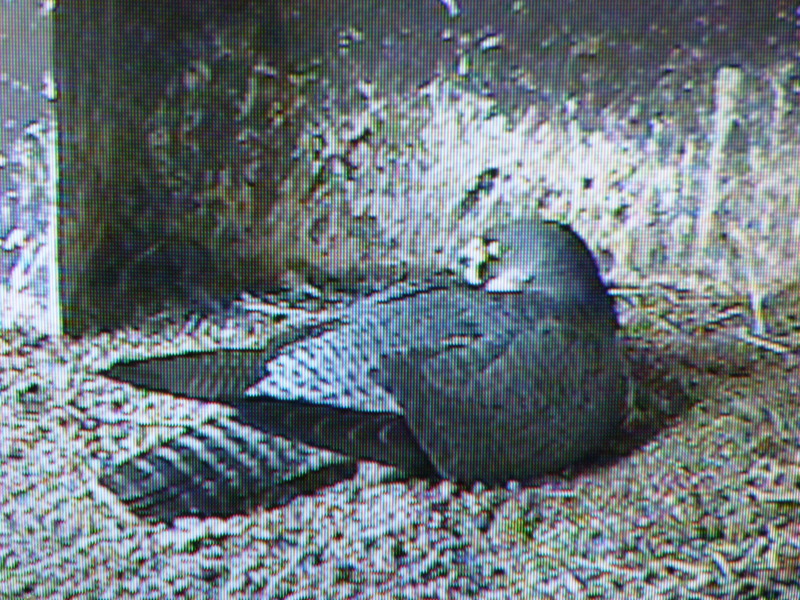 click on the Peregrine area, and then the “play” triangle. The feed will time out after 10 minutes but can be restarted. The webpages are optimised for Google Chrome and Firefox browsers, but should perform ok for Internet Explorer. Getting BT Openreach to connect a phone line to our Grade 1 listed building and route it to join up with the camera feed from the spire, plus replacing the camera fried by the January lightning strike, has rather exhausted the HLF money budgeted for this part of the Project, so any donations via our MyDonate button on the website would also be most welcome. Currently the female and occasionally the male are busy incubating their 4 eggs, laid between 20th and 26th March; if all goes well we would expect the eggs to hatch sometime during the week after Easter, between 21st and 28th April. Last year all 3 eggs hatched within about 12 hours on 28th April, a lengthy 34 days after the 3rd egg was laid. Laying was a day or two earlier this year but with 4 eggs things may be different.